Help families get to graduation: Donate today! 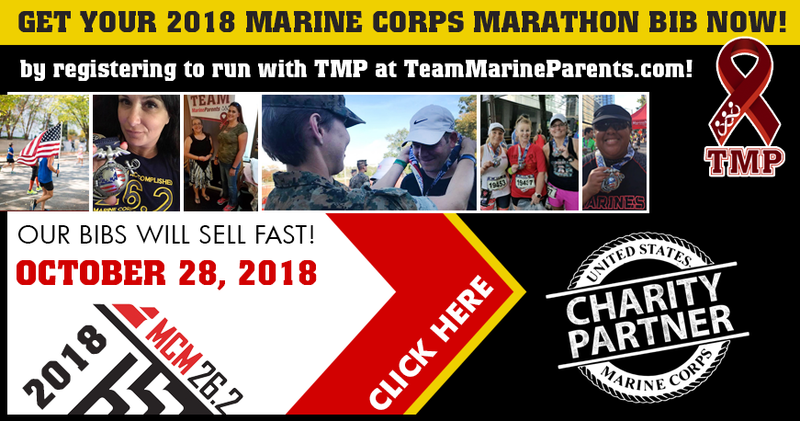 Our fundraising initiative, Team Marine Parents (TMP) is designed to support our troops by having runners participate in sporting events nationwide. Some TMP runners will be participating in the 43rd Marine Corps Marathon this year in Washington D.C. on October 28. You can learn more in our first article. 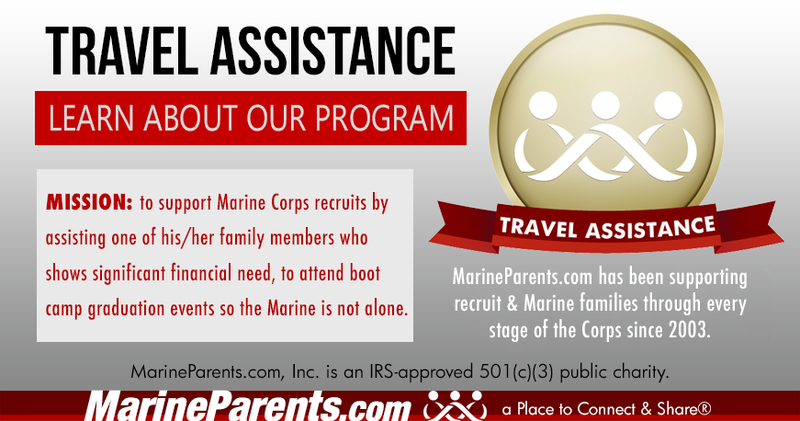 Also in this newsletter: learn about the Marine Parents Travel Assistance program, join one of our Official MarineParents.com Facebook groups, meet our featured TMP participant and volunteer, and learn about VA home loans. YOU can help another family member attend their recruit's graduation. Make your donation to the Travel Assistance program by selecting the Location, Company and Graduation Date you wish to donate to. 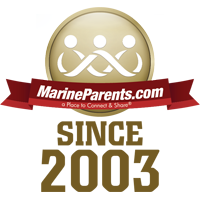 Join an Official Facebook Group of MarineParents.com. We've been supporting Marines and their family members across the nation since 2003. You've found folks that understand where you are. You've found your Marine Corps family and a Place to Connect & Share®. Our group admins and moderators are parents and family members of recruits and Marines who have been trained to oversee military groups for security and safety issues, and just as importantly, how to locate accurate information and resources. All group members must follow our 15 guidelines . 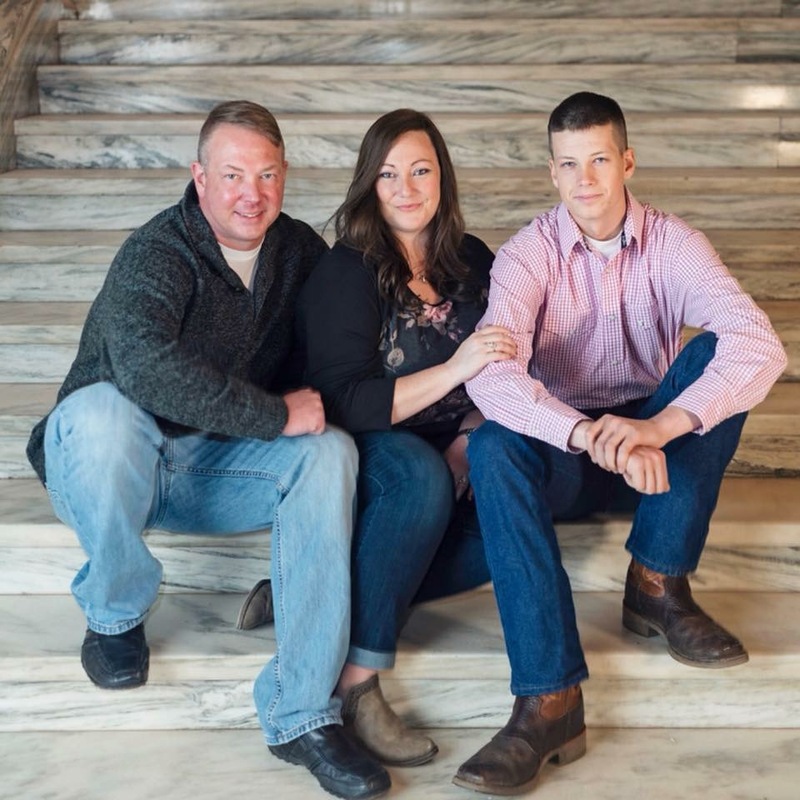 Kelly has joined Team Marine Parents to honor her sons and "to bring awareness to the positive benefits that MarineParents provides to the family of Marines." Kelly will be running the MCM10K this October in Washington, D.C.
Samantha is a volunteer for in the Official MarineParents.com Facebook Group for Hotel Company San Diego. 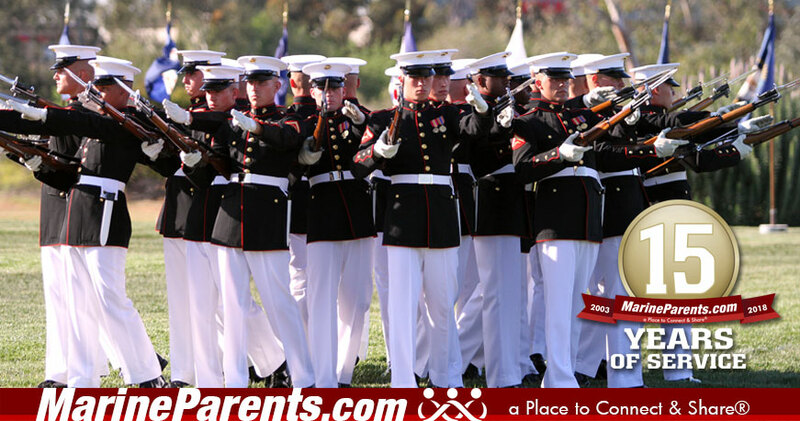 She began her journey with Marine Parents shortly before their son left for boot camp. 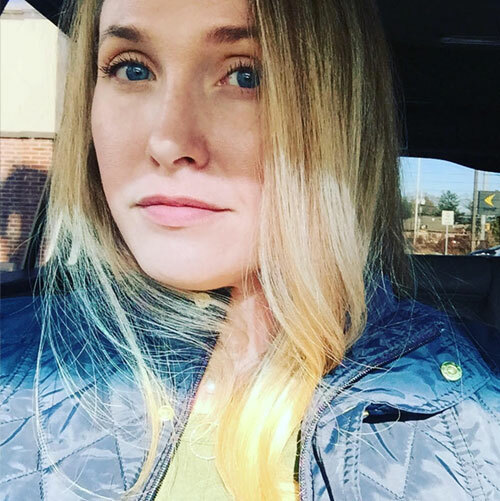 Samantha knew she wanted to share with others what she has been so graciously given: tons of information, helping hands, warm smiles, virtual hugs, new friendships, outstanding support, and lots of laughter! There are a number of different home loan options available to veterans through the Department of Veteran's Affairs (VA). The intent of the loans is to provide qualifying individuals with favorable terms through private lenders. 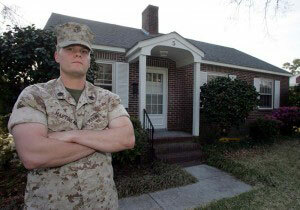 The VA guarantees specific portions of the loan, which in turn allows a home-buyer to pay reduced rates.